Print a New coupon to save $2 Off any ZzzQuil Product. 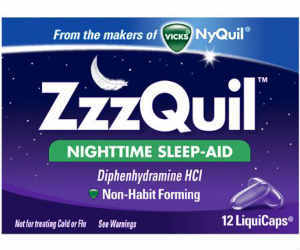 Walmart sells the ZzzQuil Nighttime Sleep-Aid LiquiCaps, 12 count for $4.82. Pay Only $2.82 with coupon!